Whether your recipient is your mom or a significant other, she is sure to smile with happiness. Cream and pink spray roses are mixed with pink roses and purple roses and accented with green hypericum berries for a lovely bouquet hand-arranged by a local florist. 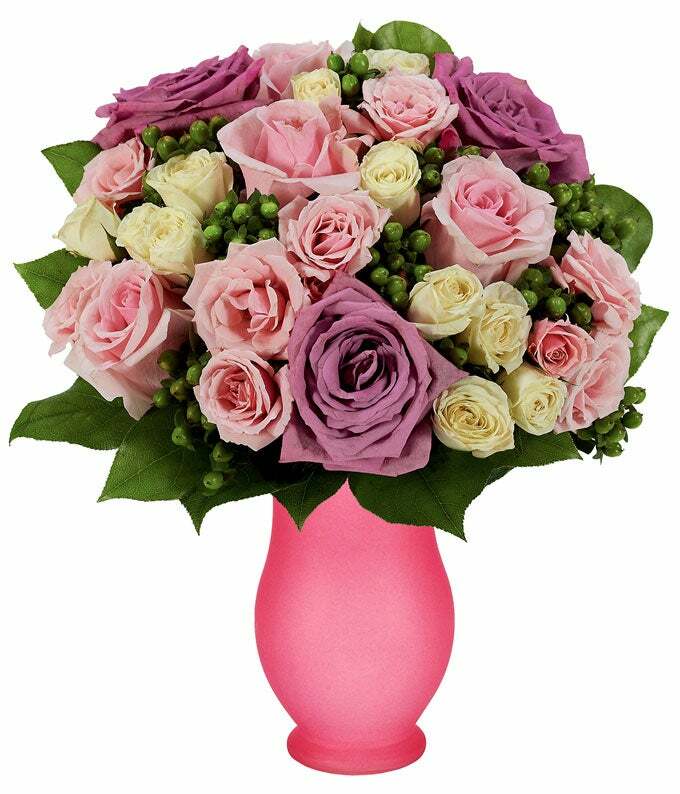 Available for same-day delivery, the Roses of Gratitude Bouquet is an ideal gift for an anniversary or Mother's Day.